A few weeks ago now I met up with the lovely Holly from Jo Malone to hear all about their upcoming releases. 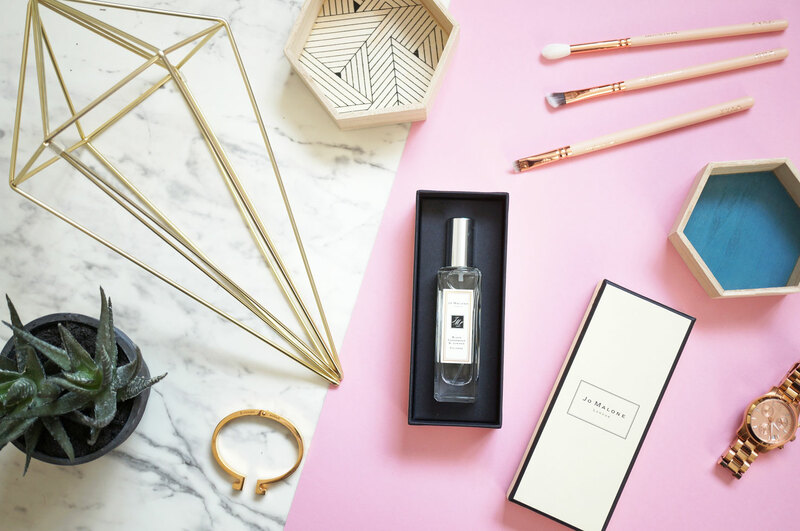 They have SO many gorgeous products launching this summer which you may have heard of by now, including the gorgeous limited edition Nishi Blossom fragrance, a collection in collaboration with Marthe Armitage, as well as limited edition boxes designed by Judy Blame. warm skin, wet with rain. Heart Note: Juniper – Cool and green, the aromatic, resinous quality of juniper brings vibrancy to the heart. Base Note: Black Cedarwood – Complementing the Virginian cedarwood in the heart, this brings a deeper woodiness to the base with a touch of supple leather. And fans of Jo Malone will know all about their love of combining fragrances. There are almost limitless combination of bespoke fragrances you can create by layering individual scents. Jo Malone recommend you layer Black Cedarwood & Juniper with Lime Basil & Mandarin for a fresh woody fragrance, that’s seductive with an addictive citrus twist. Or combine it with Wood Sage & Sea Salt for an aromatic woody fragrance, spirited with sea salt and juniper. Black Cedarwood & Juniper Cologne is £42.00 for 30ml, and £86.00 for 100ml, and is available now at Jo Malone. Boots & Space NK Beauty Hauls!! Previous Post Father’s Day Luxury Gift Guide – Fragrance, Skincare & Plants! Next Post Coming Soon – The Urban Decay Moondust Palette!